Reward cheerleading perfection with the Cheerleading Pyramid Action Trophy. 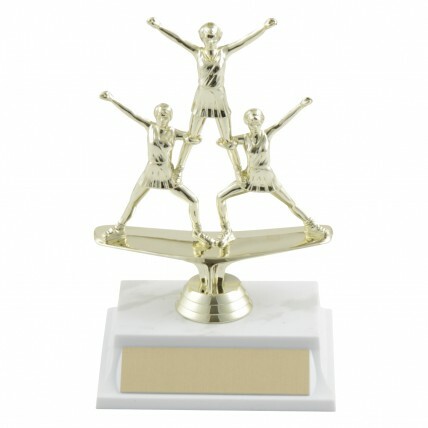 Three gold-colored female cheerleaders perform a pyramid stunt in this elegant triple action trophy. 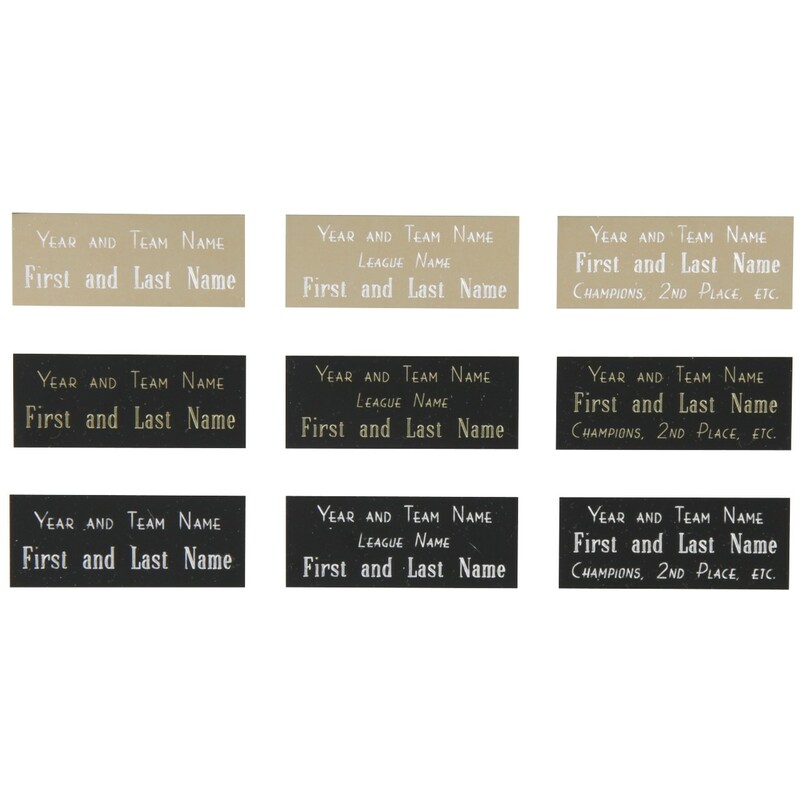 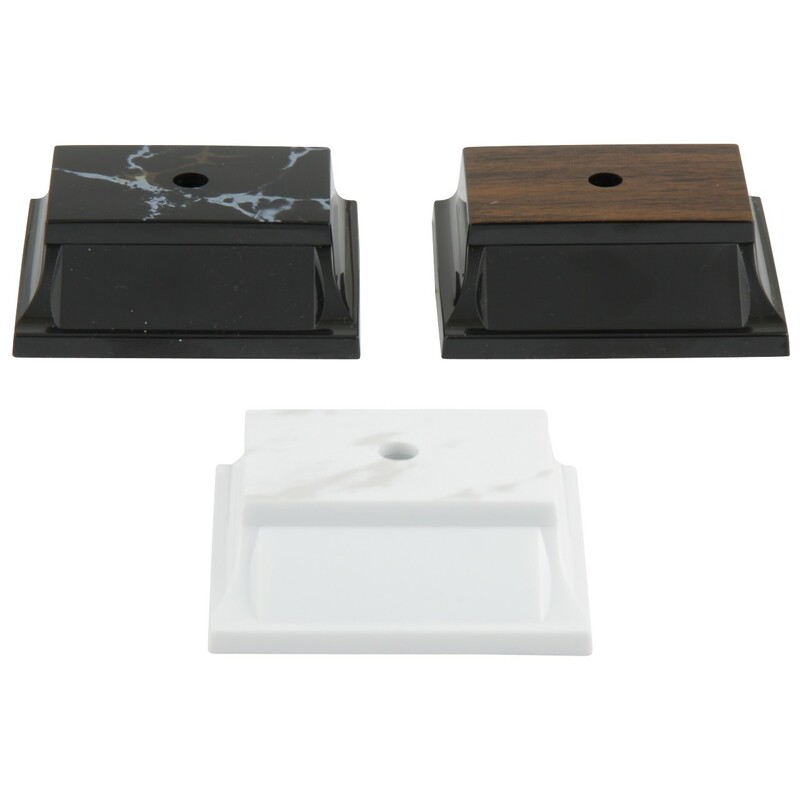 Your choice of 3 base colors; price includes 3 lines of engraving.